A journalism internship in Central America will allow you to build your portfolio and gain practical skills as a future journalist. Whether you are working in radio or print journalism there should be plenty of interesting topics to cover in a vibrant country like Costa Rica. How Can I Intern in Journalism in Central America? 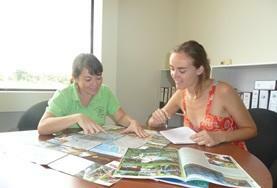 Journalism interns in Central America would benefit from some previous experience in the Journalism field. Spanish is also highly recommended but not required for all programs. You can begin your placement at any time. Intern on a print journalism placement and gain a broad range of experience of the day to day running of a local newspaper.